Creating A New Folder With Roundcube. 1. 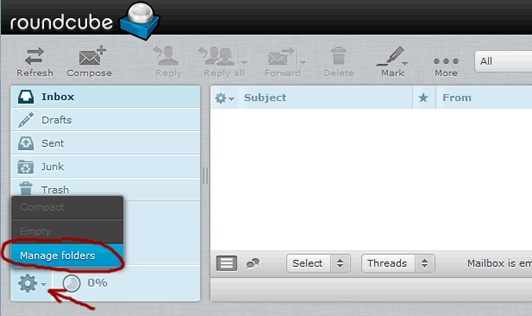 Folder name - Enter a name for your folder. 2. 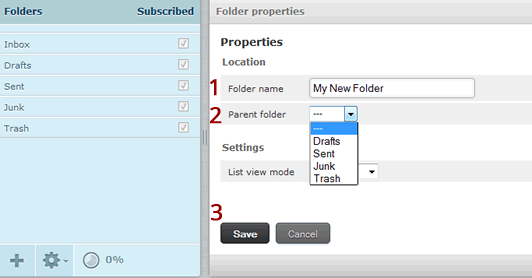 Parent folder - If you would like to create your new folder inside another folder, choose the desired folder from the dropdown menu (otherwise leave on ---).